If you own a home with a mortgage loan you may be wondering what is the best type of life insurance to protect my mortgage? Actually, life insurance protects your family by providing the money needed to pay off the outstanding loan on your home, upon your death. It can guarantee your loved ones can remain in the home they shared with you, should you pass away. How Do You Choose the Best Mortgage Life Insurance Plan? 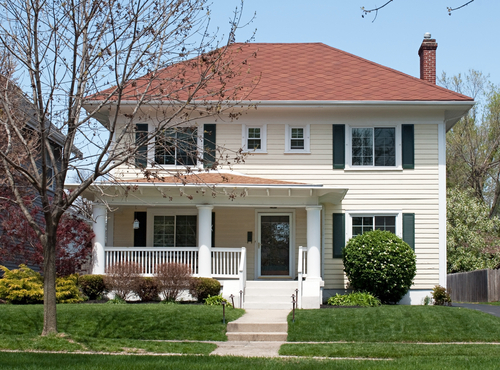 There are several key factors to consider when selecting a mortgage insurance policy. You’ll want to select an amount of life insurance equal to the amount of money owed on your outstanding home mortgage loan. That way, your beneficiary has enough money to pay off the mortgage should you pass away. You’ll want to select a term (duration) of life insurance that matches the length of time you will be paying on your mortgage loan, which is usually 15, 20 or 30 years. Term life insurance is the easiest and most affordable type of life insurance you can get to protect your home mortgage loan. In addition, your personal risk factors impacting your cost of insurance include tobacco use, lifestyle, occupation, hobbies, driving record, height-to-weight ratio, etc. Here’s how you can request a free quote for mortgage term life insurance and compare the best prices from 40 of the leading life insurance companies. You’ll want to choose a life insurance company with a financial strength rating from A.M Best of at least "A" Excellent or better. The financial rating is an indication of the insurer’s ability to meet their financial obligations and pay their claims based on an independent review and analysis of the insurer’s financial statements by an independent rating agency (A.M. Best). With level term life insurance, your premium is guaranteed to remain level (the same) each year for the entire duration (term) of your policy, which may be 10, 15, 20 or 30 years depending on the length of term you select. The beneficiary of a life insurance policy is the person(s) you choose to receive the proceeds (death benefit payout) from your insurance policy upon your death. The beneficiary may use the proceeds any way they choose including to pay off the mortgage on your home.